On August 15, more than half a century ago, the surrender of Japan was announced to Japanese public and the world by Emperor Hirohito. No matter how bitter and disgraceful an event this might have been in Japanese history, this marked the end of the sufferings brought about by World War II. 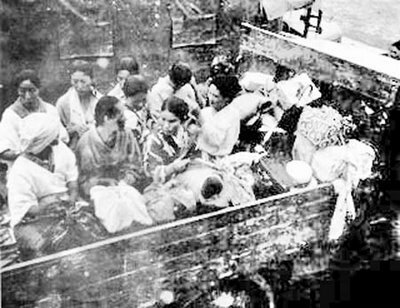 The original source of the problem that has kept this issue alive is the failure of the International Military Tribunal for the Far East (“the Tokyo Tribunal”) to address the “comfort women” charges. However, there can be no doubt whatsoever that Japan violated international law. First of all, Japan violated international treaty law. The court’s ruling was the outcome of the intervention of the U.S. State Department, issuing a Statement of Interest asking that the court dismiss the case on the basis of political question doctrine. It seems that the intervention stemmed from concern regarding the U.S.-Japan alliance.